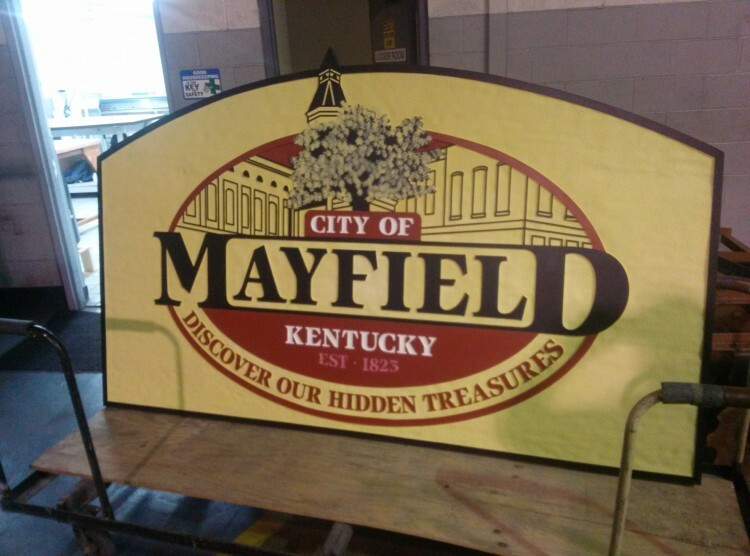 The city of Mayfield Kentucky was looking to update it’s image. For it’s new signage they turned to sandblasted HDU to give them the look that they wanted. We produced a total of 4 sandblasted HDU sign with custom painting to update the new city logo.